All M2M amplifiers and repeaters listed below are compatible with your SaskTel service. SaskTel M2M Signal Boosters for use in ATMs, lotto & vending machines, remote monitoring systems, etc. With continuous and extensive innovation of technology, there have been many advantages and new developments in the area of mobile communication. It provides nice features which answer every need of people in terms of fast communication. As with the creation of mobile phone and machine to machines networking applications, it is not surprising to know that many are knowledgeable on how to use them, and even improve their performance. This is where we come in with M2M signal boosters for Sasktel mobile network connected machines. With several advantages that mobile phones may bring in terms communications, the invention of latest gadgets and machines such as vending machines and ATM machines has practically reduced the distances between people and made life simpler and easier. M2M applications help businesses flourish. Our boosters keep them connected to the cellular network so that they continue to provide peak performance 24/7, 365 days a year. Security 4G. 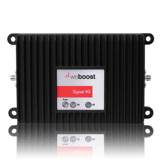 A signal booster that boosts 3G and 4G LTE data signal for any cellular connected security panel, or on any mobile network. This SaskTel Signal Booster for M2M is perfectly designed for use with security systems. This may be a door entry system, alarm system and other area of security device. The good thing about this kit is that, it can be placed and directly connected up to your machine equipment for fast and reliable 4G signal. Moreover, once you have properly installed the device, you can expect for faster downloads and uploads of data to and from your machine. Signal 3G. With many models of SaskTel Signal Booster for M2M, Signal 3G is perfectly configured for machine to machine installations and solutions, while strengthening 3G data signals. The device typically involves connecting machines including cash dispensers, vending machines and other machines for business that need faster data connection in order to realize reliable business transactions. Signal 4G. This device is specifically designed for machine to machine solutions. With its 4G signals, there is no doubt that this booster kit can provide fast and constant data connectivity for any machine to machine situation. Like other signal boosters, this device works in a bi-directional fashion and has the power to increase outbound and inbound communications. This 4G booster kit is compact so it is very simple and easy to install in tight spaces. Direct Connect 3G. It is a direct connection booster kit that has been created specifically for machine to machine solutions. As with other machine to machine boosters, it can be installed for machines such as cash dispensers, vending machines and other machines that experience weak cellular connection due to blockage or increased proximity to nearby Sasktel cell tower. With so many M2M booster kits to choose from, it can be difficult to choose to which is the best? Any of the weBoost M2M signal boosters for SaskTel shown above are good choices depending upon whether you need only 3G boost or 4G as well.